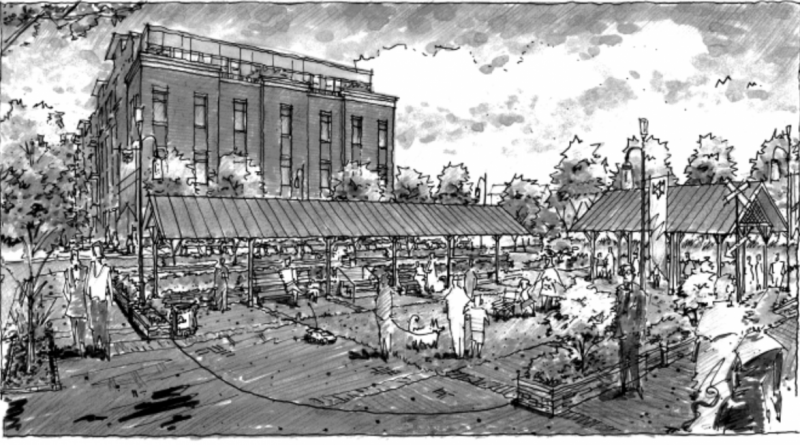 A proposal to bring more housing to downtown Leesburg cleared the Planning Commission last week, and will likely be before the Town Council for a final vote next month. 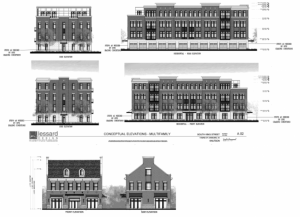 Crescent Place homebuilder Don Knutson received the commission’s thumbs-up on a proposal to construct four four-story buildings with 64 multi-family units and 7,100 square feet of commercial space and recreation amenities. The project is on 2 acres on the east side of South King Street along Town Branch and the W&OD Trail. Commissioners present at the Oct. 20 meeting unanimously recommended approval of the special exception application. Chairman Lyndsay Welsh Chamblin and Doris Kidder were absent for the vote. Commissioners took two meetings to review the application, with much the focus on extending to the project’s buffers, floodplain mitigation, and the nine modification requests put forward by the applicant. These included reductions in screening, open space, and loading zone requirements. In its action, commissioners recommended approval of all the modifications. In his initial presentation to the commission, Knutson pointed to a fiscal analysis conducted on the proposed development, which estimates annual revenues to the town of almost $4 million from real property tax, sales and meals tax, and business licenses. The property, which currently houses a small strip retail center and the Battery Warehouse, has some history to it. In 2008, Waterford Development received special exception approval to construct a parking garage and commercial space along the Town Branch. Jan Zachariasse, president and CEO of Waterford Development, had envisioned a walkable, pedestrian-oriented commercial space that would bring foot traffic to an area more used to passing cars and crossing cyclists off the W&OD Trail. That project never got off the ground. 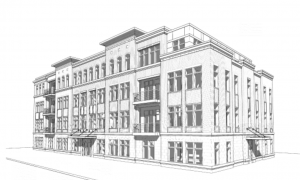 Knutson is hoping to build on the popularity of the residential offerings at Crescent Place to bring that same energy to the South King Street area.